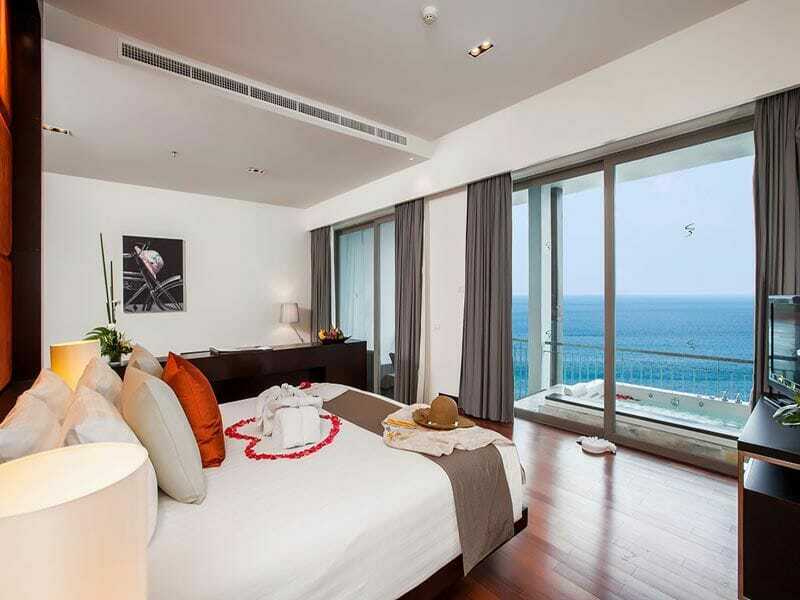 Enjoy 6 nights in a Sea View Studio at Cape Sienna Phuket Hotel & Villas with stunning views overlooking the adriatic sea. Forget the stress of booking flights! With return flights planned for you and a 20kg luggage allowance on us, the only thing you need to do is sit back, relax and enjoy the flight! Holidays are meant to be hassle-free. That’s why with My Thailand, you’ll enjoy private airport transfers to and from the airport. Forget expensive taxis, trying to navigate your way through Phuket and getting to the airport on time. We’ll take care of it all for you. Enjoy a full buffet breakfast each morning! Start your day with a delicious meal consisting of foods that will provide you with the fuel you need for a day full of activities and relaxing. Feel like royalty with priority check-in and fast track departure. Plus, make use of your exclusive lounge access for ultimate ease and luxury when you travel. The skilled chefs at Poolside Bar & Restaurant will create a mouth-watering feast that is full of the flavours and aromas of Thailand. Your complimentary Art of Thai Food set menu contains some of the most delicious Thai food available. 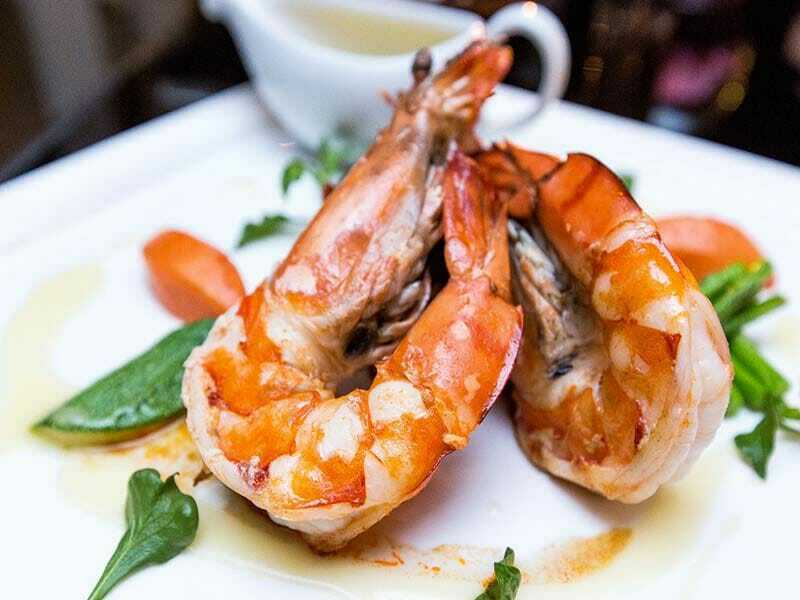 Your complimentary Taste of Luxury set menu from Plum Prime Steakhouse is a selection of premium beef cuts and perfectly cooked seafood. 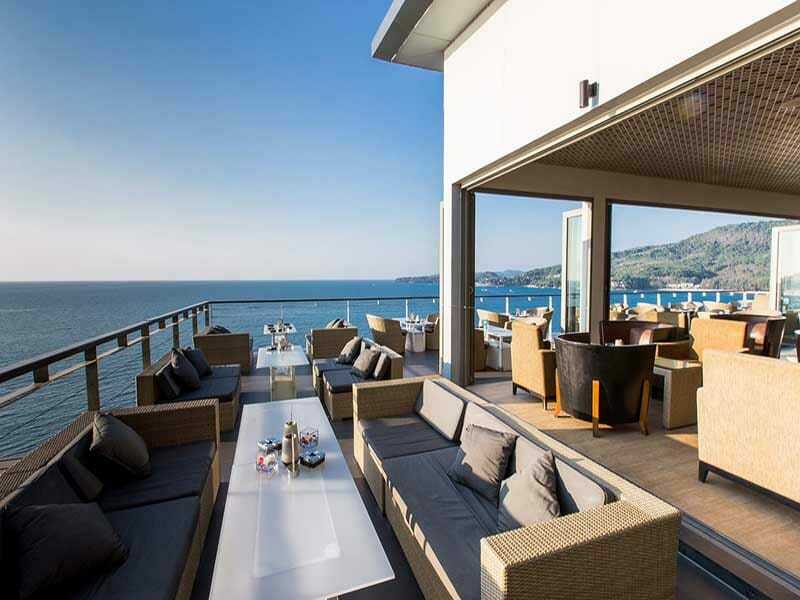 Relax in the stunning ambiance of this restaurant and enjoy ocean views while you dine. 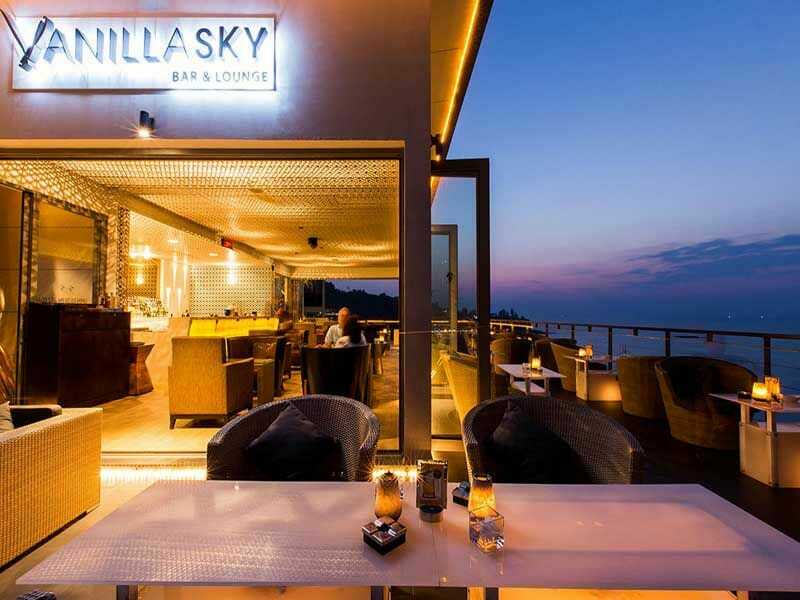 Head to the Vanilla Sky Bar & Gastro Pub where you will receive delicious complimentary Gastro snacks and get to try one of their craft draught beers. You deserve some personal downtime and there’s no better way to spend it than with a complimentary 45-minute treatment at Quan Spa. 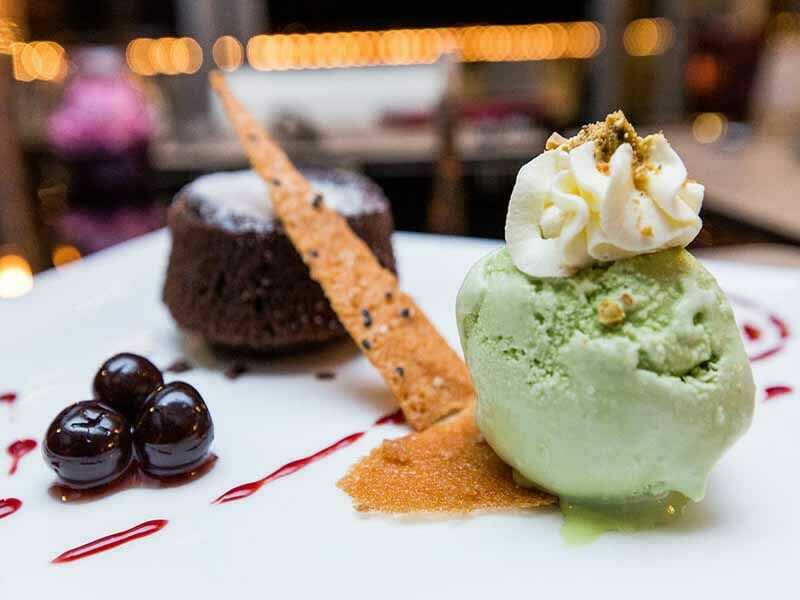 Choose from the extensive menu and enjoy the pampering. Start your Thailand holiday the right way and enjoy a cold welcome drink and local Thai dried fruit snack in-room upon your arrival at Cape Sienna Phuket Hotel & Villas! Stay a little longer! There’s nothing worse than that mad rush that too often marks the end of an otherwise relaxing holiday. Take your time when you travel with My Thailand! Enjoy a late check-out of 4pm, make the most of one last lazy breakfast, take a dip in the pool and pack all of your things, completely stress-free! School holiday packages available during the year at an additional surcharge, please call a friendly MyThailand consultant for a quote! 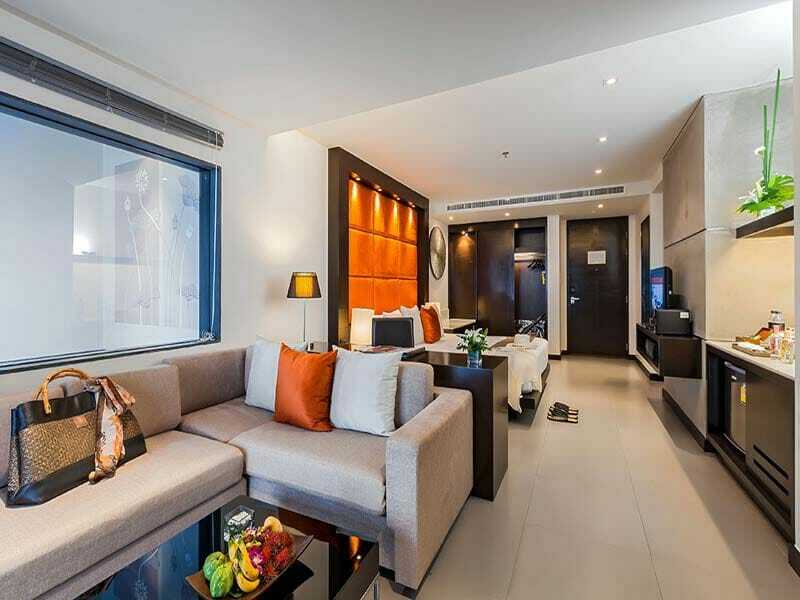 Sea View Deluxe Room – UPGRADE from only $50 per person! 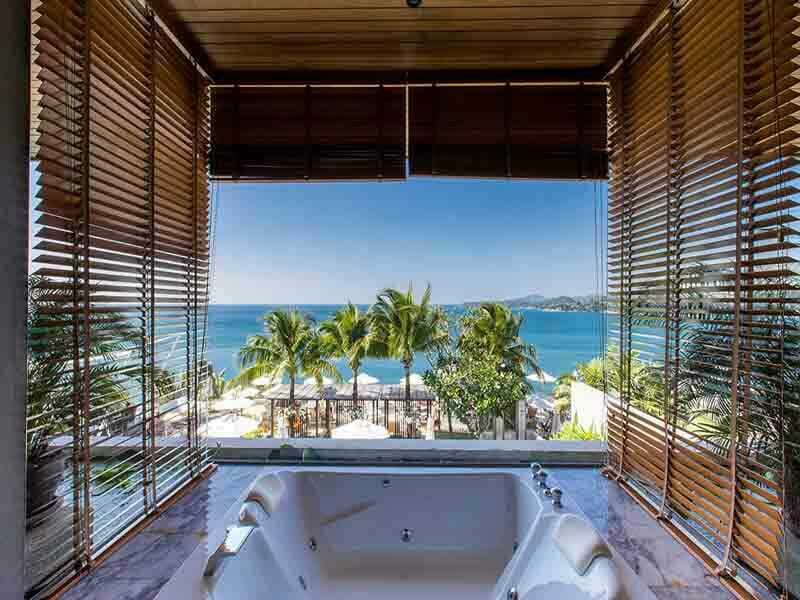 Sea View Jacuzzi Junior Suite – UPGRADE from only $250 per person! Sea View Honeymoon Suite – UPGRADE from only $350 per person! 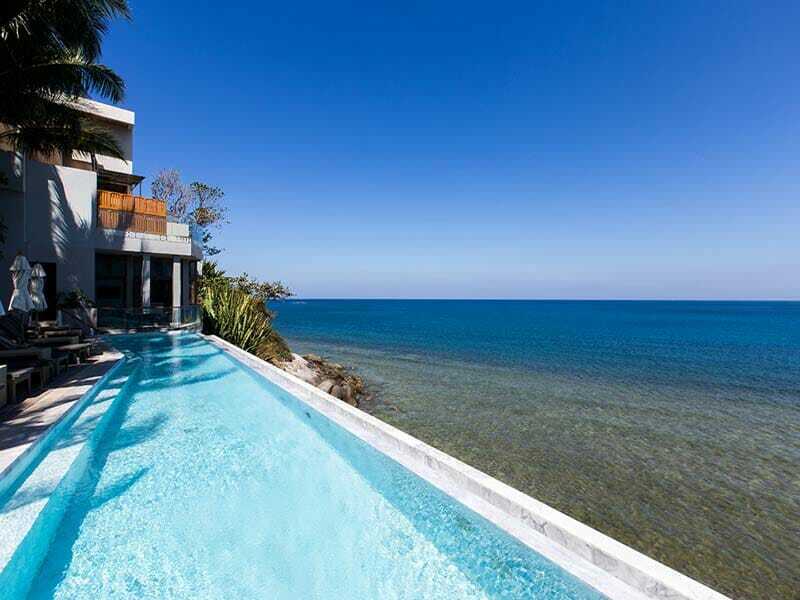 With commanding sea views, contemporary architecture and 5-star service, Cape Sienna Phuket Hotel & Villas is the ultimate getaway for those craving boundless luxury, adventure and romance. 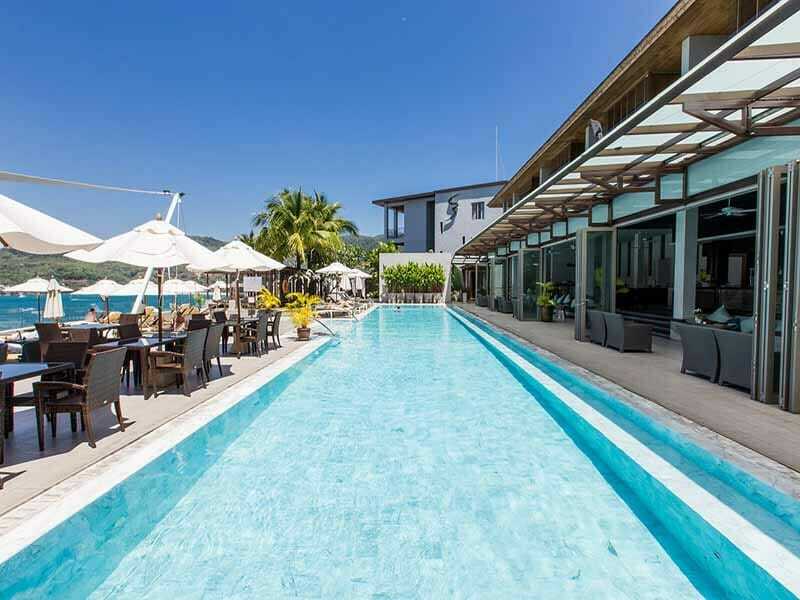 Although secluded and private, the hotel is located near countless major Phuket attractions such as the Water Ski Gateway, golf courses, a mining museum, Elephant Jungle Sanctuary and much more. Each room at Cape Sienna Phuket Hotel & Villas exudes style and boasts a private terrace overlooking the wondrous Adriatic Sea. The resort features 4 authentic restaurants onsite – some with pool bars and each offering farm-to-table dining. Other facilities include the Balance Spa, snooker room, tennis court, business center and fitness club. 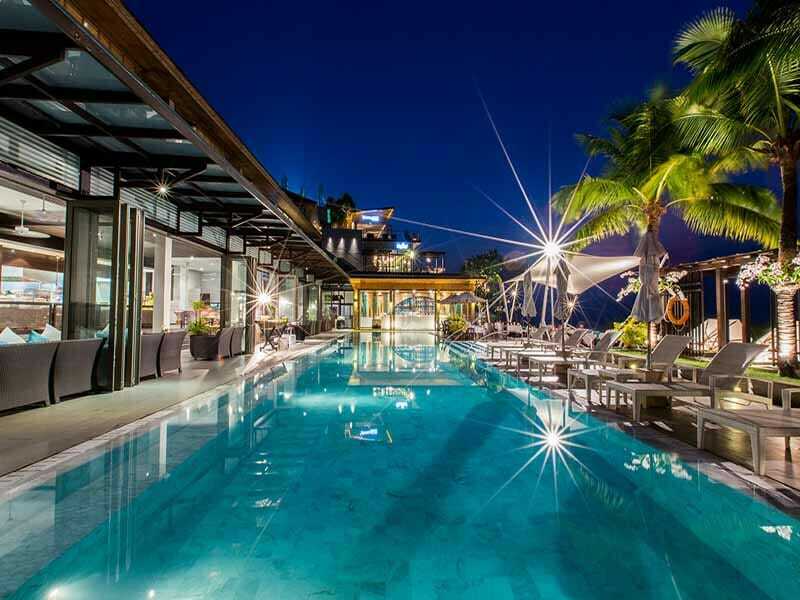 Read more about Cape Sienna Phuket Hotel & Villas here! Cape Sienna Child Policy: Children over 2 years are accepted in the hotel. However, the hotel does not have any children facilities or is suitable for smaller kids and we ask parents to respect the ‘peaceful’ environment of the resort and keep a good eye on their kids. We are following a world-wide trend towards offering a more serene getaway and limiting the sometimes disruptive manner of children to other guests when on holidays. We are not against children and to prove it we allow children under the watchful eyes of their parents, to visit, for example to have lunch or dinner at one of our restaurants. Children can stay also in one of our nice large, family friendly villas, where they can enjoy their own pool. ^AIRFARES are based on promotional Air Asia economy class fares. Flights are via Kuala Lumpur and may not operate daily. Cannot stay longer than 1 month after departure from point of origin. Prices are subject to promotional fare availability. Air surcharges apply during Australian school holidays.